We visited different areas in Bangalore, where we analyzed different situations and community’s needs. These common needs could be summarized in four categories: water, energy, infrastructure, and cooking. This is a major issue we've observed in several camps. Further research showed that changing cooking methods is not effective. We chose to work with the current one and solve the tent ventilation. 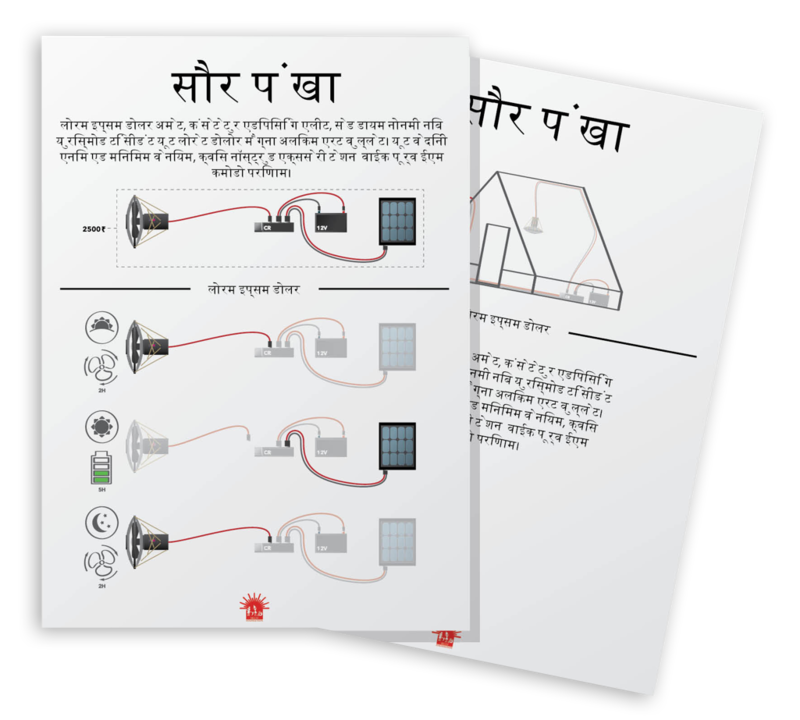 We’ve developed a low-cost portable solar fan that disperses smoke is easy to use and maintain and alongside the physical prototype we have to create a flyer in order to explain to the communities how the fan is used and how it evacuates the smoke during cooking. It seemed to be successful and to respond to their needs. The tent’s infrastructure allowed to attach the solar panel on the roof, and the price didn’t seem to cause a problem for the interviewed people.